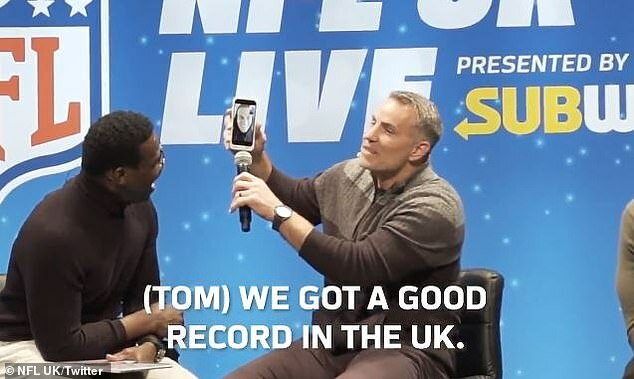 Tom Brady thrilled the crowd at an NFL UK event with an unexpected FaceTime call to panellist Kurt Warner. 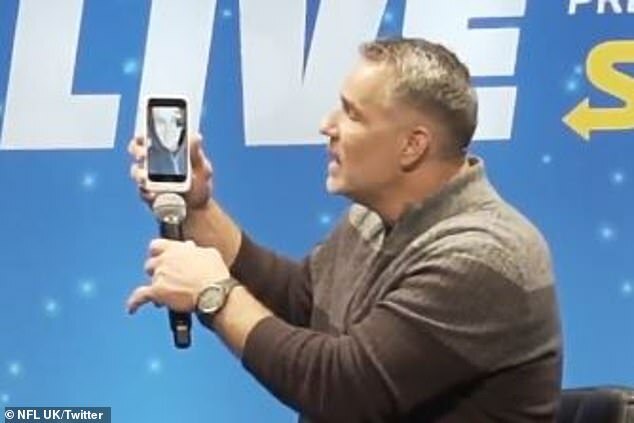 Warner checked his phone and decided to play along with it, accepting the call and having Brady address the crowd. ‘We got a good record in the UK, are you guys having fun?’ Brady said. Warner added: ‘How awesome is this, this is worth every dime that you guys paid to travel to get here. 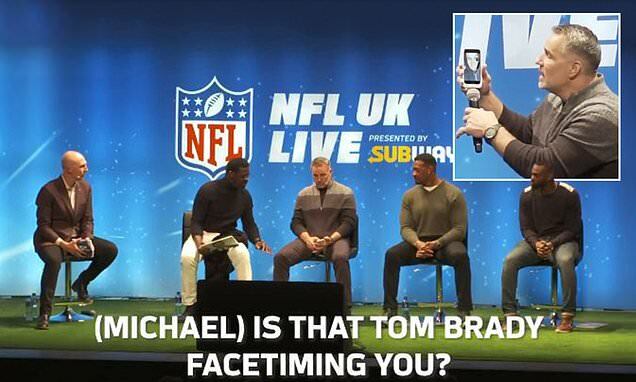 Tom Brady just facetimed you. ‘We just had somebody ask us a question and maybe you are the one to answer for us. ‘You are in the Super Bowl every year. 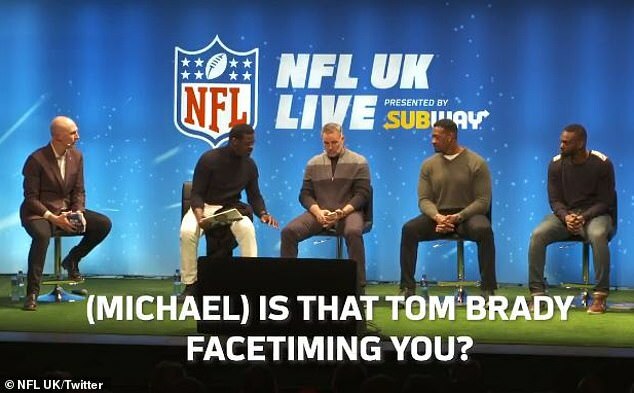 He just asked if we thought there might be a Super Bowl in the UK at some point. What do you think, are you going to hang around long enough to play in one? 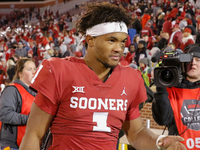 His diplomatic answer completely avoided the question but the fans didn’t seem to mind too much. Brady won his sixth Super Bowl earlier this year as he led the New England Patriots past the LA Rams. 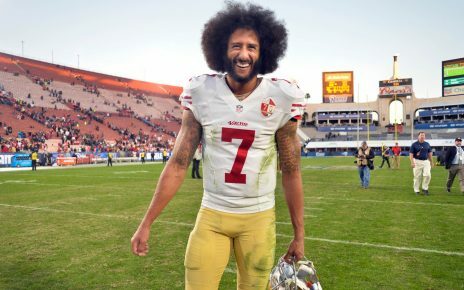 At 41-years-old he is the oldest quarterback to ever win the Super Bowl and he has previously spoken about wanting to play until he’s 45.